Well considering what a hit it was, the last time I did this, I thought I’d give it another go! And after a bit of fighting, I got it to run! Now what were the obstacles? Well for starters not having a full libc certainly hurts things. Things like a malloc. And without getting fancy with the memory map I did the lamest cheat ever, which is a 1MB static array I just handed out with a fake malloc (no free, I didn’t bother to track chunks), and you know it works enough. Also I need to read files, and I need to look more into the hardware to see how to do that. There seems to be plenty of hooks for NVRAM, but the ROMMON substitute doesn’t seem to support them. Also there is no ROMMON hook for reading from the console! The MIPS cilo is more ROMMON dependent, while the PowerPC c1700 talks to the uart directly so this is a PowerPC thing for right now. I also learned something exciting about ld, which is how it can absorb binary images into objects, that you can link and access directly into your program! No more having to convert it to hex, make these insane headders that CPP may or may not bomb over. No you can make them objects right away! In this example I read the file planetfa.dat as BINARY, and encapsulate it in an object file called planetfa.o . It’ll now have a symbol name of _binary_planetfa_dat_start for where the image begins, _binary_planetfa_dat_size will tell me how big it is in memory, and _binary_planetfa_dat_end will mark the end of this ‘file’ in memory. I suppose I could just have wrapped the f* calls into some emulation library but I don’t need to get all that crazy sophisticated. Virtual RAM size set to 4 MB. 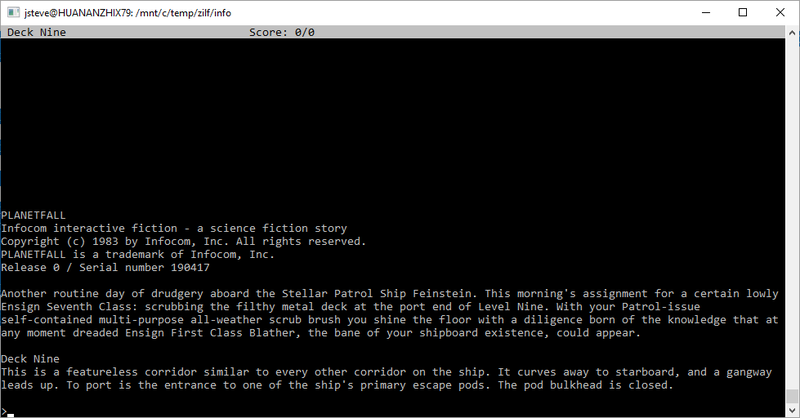 C1700 ‘default’: starting simulation (CPU0 IA=0xfff00100), JIT enabled. For anyone crazy enough, you can find my MinGW Dynamips on sourceforge, cross compilers for PowerPC, and the branch of the firmware source that includes InfoTaskForce, and the binary image. 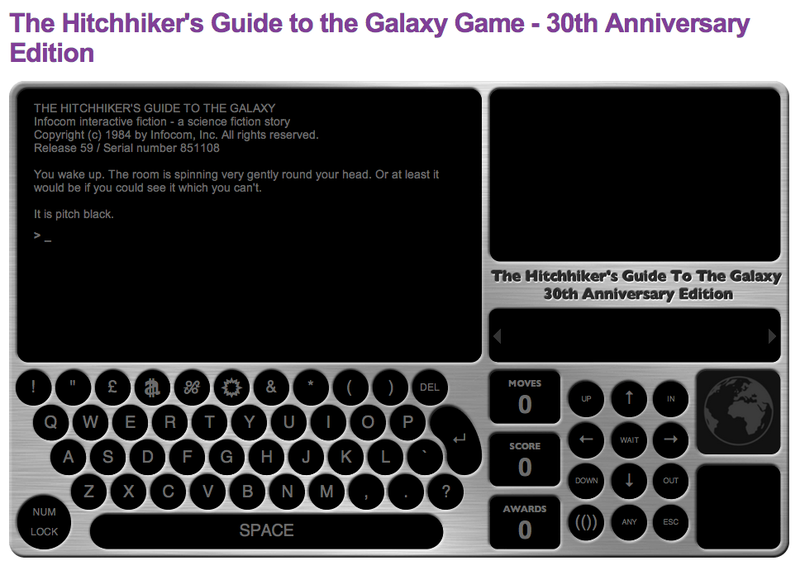 While I don’t want to write an OS for this, it is almost tempting. 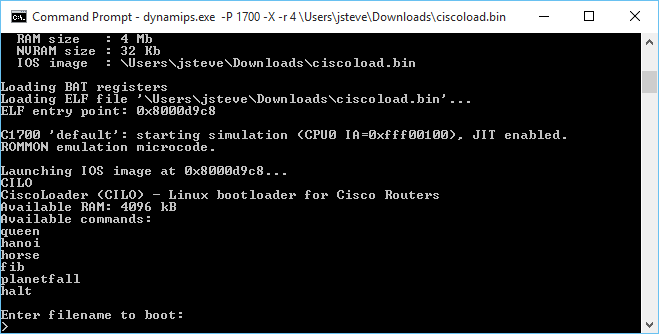 Or go the other route, and add in some non router based hardware… Like audio hardware, or a framebuffer. 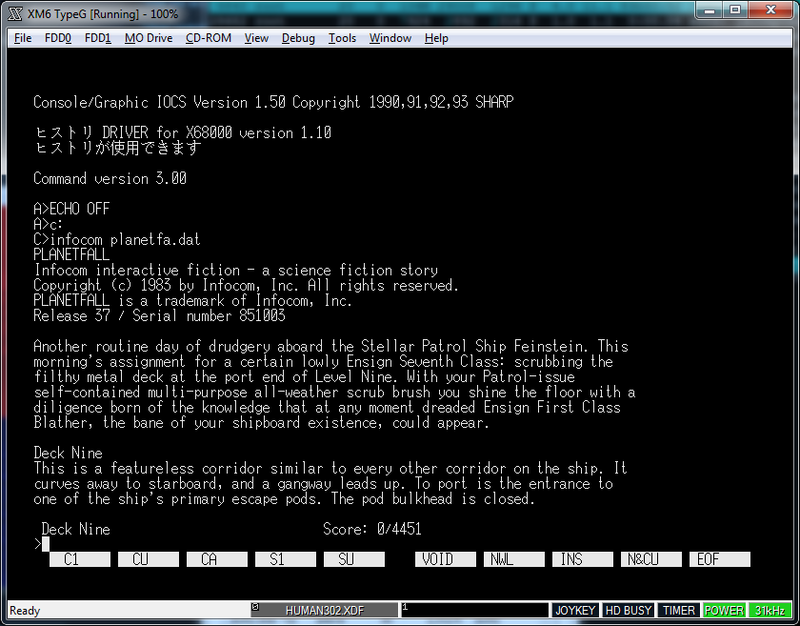 Virtual IIGS for Chrome, Active GS! It’s a simple pluggin for Chrome, download it and you are good to go. 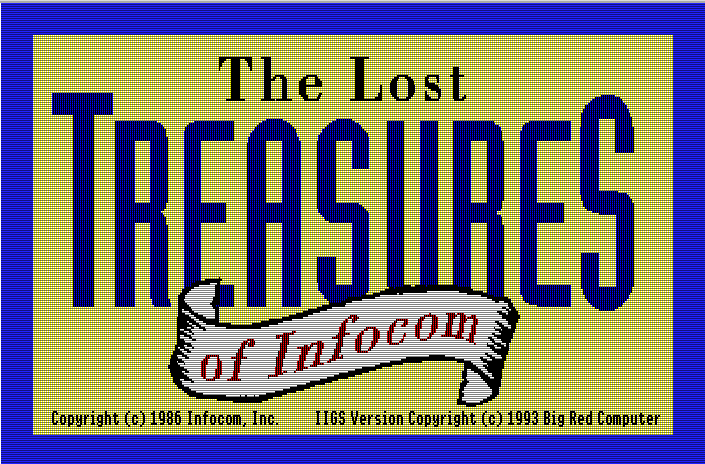 As a bonus, check out The Lost Treasures of Infocom! Besides the disk swapping, it’s pretty cool! 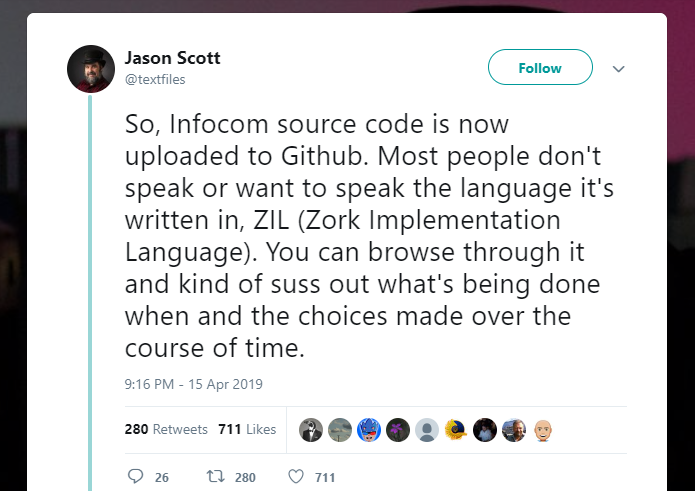 Author neozeedPosted on April 15, 2014 November 12, 2014 Categories Apple, Infocom, Zork1 Comment on Virtual IIGS for Chrome, Active GS! And the BBC has a super snazy version right here. If you remember how to get the babelfish, then props to you! 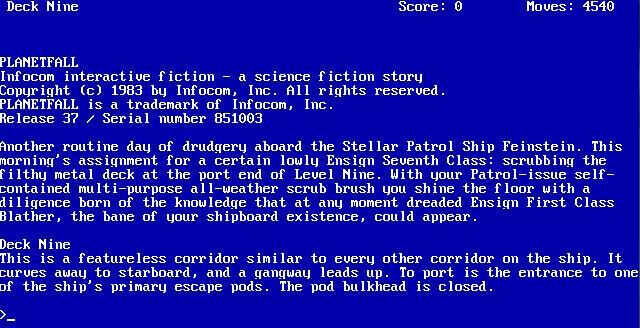 Did you ever love Zork? 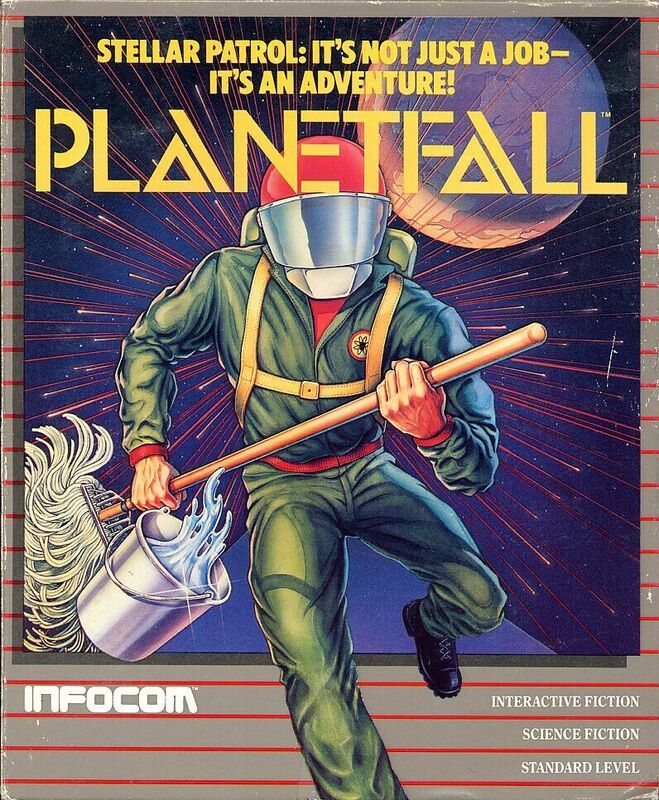 Personally I was into Planetfall. 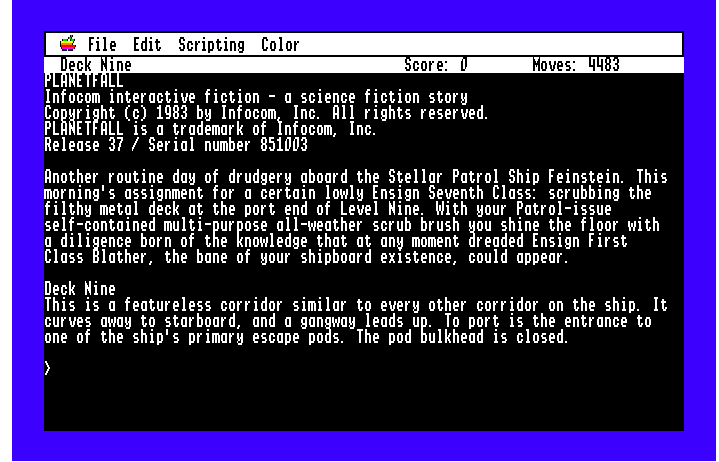 And what made Infocom cool was the ‘feelies’. 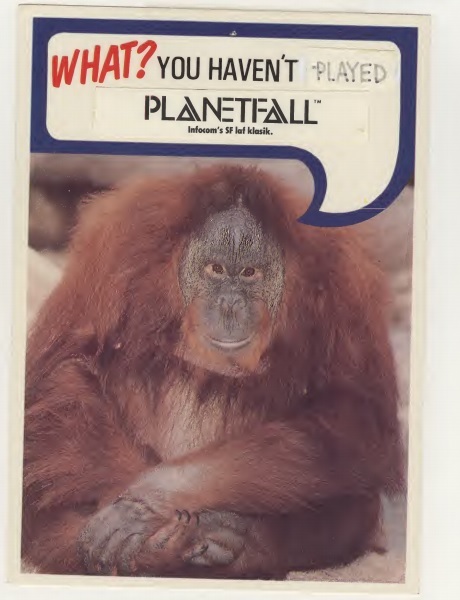 I guess it’s pretty obvious that if you found me here, then you know all about the rise and fall of Infocom, and how it was how they wanted to diversify into business applications… And their portable strategy backfired big time.  But back to the games. 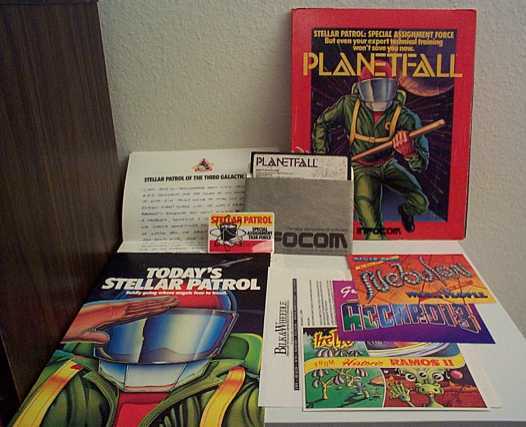 While talking to someone and the topic of Infocom came up, I had to see how many I had as I’d managed to buy one of the ‘collection’ sets of Infocom games. Sure I felt like “I had them all” but after finding accardi-by-the-sea I found out that not only was I missing some, but they actually had every version of these games that had been released! Talk about an exceptional collection! And if you love all the packaging, check out here & here.